The Institutional Real Estate Group prides itself on its diverse and historic experience in representing a number of educational institutional clients, including private and public schools, universities, colleges, technical institutes, and their affiliated entities and foundations. The firm has represented the largest university in British Columbia for more than 145 years. Institutional real estate is unique in that it calls for sensitivity and awareness of the public realm in which the institutions operate plus an in-depth knowledge of real estate. RBS works closely with the institutions to become familiar with their issues and concerns. Several of the firm’s lawyers have spent months working with a large institutional client under a secondment program, which has given them an even greater understanding of the institutional environment. By working with institutions to optimize their land assets, the firm’s lawyers can assist them with achieving their academic and community goals. The Institutional Real Estate Group has been involved with the planning and implementation of real estate development on institutional lands for academic, commercial and residential uses. Our lawyers’ extensive experience in all matters relating to commercial real estate—for developers, investors and lenders—is essential for providing clients with the best advice. The lawyers at RBS host an annual half-day seminar for university legal counsels from throughout British Columbia to learn and share knowledge and experiences. Feedback shows that the participants enjoy the opportunity to connect with other institutions and appreciate the firm’s efforts to facilitate this interaction. By creating 99-year leasehold strata projects, the firm has created a sustainable, renewable source of funding for institutions. This work has captured the attention of institutions from across Canada that are looking for similar solutions to their long-term funding needs. Commercial leasing opportunities are another revenue opportunity for institutions. The lawyers are well acquainted with all aspects, advantages, and challenges associated with commercial leasing transactions and disputes. Many institutions are concerned about housing availability and affordability for faculty, staff and students. The firm’s lawyers have been involved with a number of creative solutions to address these concerns and are familiar with various alternatives to meet ever increasing housing requirements. The demand for more facilities and services comes at a cost and a greater demand for financial solutions. Institutions often turn to third party lenders for secured financing transactions. The firm’s lawyers have experience in structuring lending transactions to suit clients’ needs, including some that are unique to the institutional world and not available to private clients. The Institutional Real Estate Group understands the complexities that the firm’s clients face as they work with public and private partners to realize their unique operational mandates, and the lawyers relay this experience in the measured legal and strategic advice that we provide. 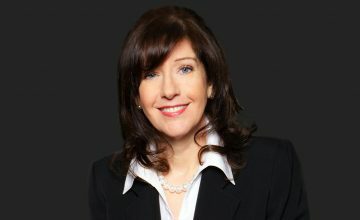 With a focus on assisting institutional clients in the development of educational and social housing facilities, the lawyers have particular experience with complex, multi-phase subdivisions, land dispositions, negotiating and drafting municipal charges, covenants and agreements, and navigating the complex approval processes that govern institutional real estate development. The institutions in British Columbia are among the very best in the world. As places that encourage and foster creative thinking and innovation, it is not surprising that one-of-a-kind opportunities often present themselves. After many years of providing institutional real estate services, the firm’s lawyers have been involved with many of these projects. Examples include an interactive sustainable building, an experimental renewable biomass project, and a decommissioning process. The Institutional Real Estate Group is up for the challenge of any unique and unusual project.